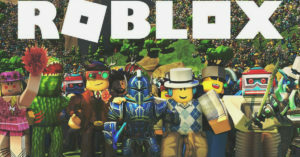 Since its release over a decade ago, Roblox has gained the hearts of millions of players around the world and it continues to be one of the biggest online games available. Roblox gives you the chance to let your imagination go wild. In this gaming platform, players can create their own world and explore what others have created. It allows you to create and to live your own adventure in a 3D environment. The selection of worlds that can be explored is endless and you can develop your own games with Roblox Studio. 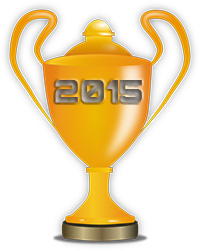 In fact, Roblox is a great place to work on your programming skills. You can practice using Lua, a language that gives you the possibility of creating games, items and updating the environment. Roblox players have the possibility of creating and buying virtual items. If you have a Builders Club membership or you are a Roblox admin, you can sell some items. The virtual current used in the game is known as Robux. Roblox allows you to work with your friends to come up with your own creations, you can also publish games and join groups to get a bigger audience for your creations. To reach the Player Points Leaderboard rankings, you need to be competitive and impress developers, who will grant you points when you achieve a specific goal. Roblox is available on Windows, Mac, Android, iOS and Xbox One, just to name a few. Roblox is popular around the world, but in some countries, there are restrictions that prevent you from accessing this platform. Currently, the popular game is blocked in United Arab Emirates and Jordan. Even players in countries where Roblox is not officially blocked, may face restrictions. This is because in school and work networks, it is likely that the filters that are in place, won’t allow you to play Roblox because it may distract you from your tasks, or because it consumes too much bandwidth. While it is understandable that your school wants you to focus on your studies and your work wants to ensure productivity, if you are on your break, you may want to take some time to play. This is when a VPN service comes handy. With a VPN, you will be able to get around the restrictions and enjoy access to Roblox, even if it is blocked in your location. VPNs mask your real IP address and give you an IP address of the location to which you are connecting to. This means that you can appear as if you were in the United States, even if you are actually connecting from a different location. This will allow you to defeat the blocks in your region and access content that is only available in the US. By masking your IP address, a VPN also gives you anonymity as it prevents others from finding out your real location or identity. In addition, a VPN encrypts your traffic, giving you privacy. To get all the benefits of a VPN, it is important to choose a high quality service. We highly recommend the below providers since they are fast, secure and offer reliable performance. They are ideal for defeating geographical restrictions or network blocks so that you can enjoy Roblox, no matter where you are. Private Internet Access is known for its conveniently low prices. A full year of service costs less than $3.50 USD, which makes it an affordable choice for Roblox fans who want to overcome restrictions. In spite of the low cost, PIA is a high quality service that includes all the features that you need to overcome restrictions and secure your internet traffic. PIA offers SOCKS5 proxy, which is a fast and convenient way to bypass restrictions and enjoy good speeds while playing Roblox. 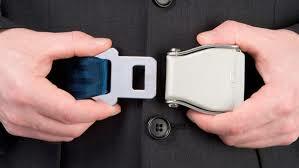 PIA also uses strong encryption to protect your data. PIA’s network has over 3000 servers in more than 30 countries. 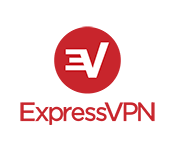 ExpressVPN offers high quality service and superb speeds. You can access servers in over 180 locations around the world, which will allow you to bypass restrictions and enjoy access to Roblox and many more entertainment options. ExpressVPN also uses a high level of security since it protects your traffic with AES-256 bit encryption. There are no logs kept of your online activities and the customer support is available 24/7. ExpressVPN allows you to defeat any blocks that prevent you from accessing Roblox. It comes with a 30-day money back guarantee. If you are looking for an affordable solution that offers an extensive list of server locations, check PureVPN. This provider gives you access to a network that has servers in over 140 countries. That is pretty impressive and it means that you can always find a solution that is convenient for you. With PureVPN, you can access a lot of amazing content from around the world. PureVPN has apps that are easy to use and that work on all major platforms. No logs are kept of your online activities and you can enjoy great speeds for playing games, streaming or downloading content. VyprVPN is an ideal solution for gamers since it controls its own network of servers, which allows it to offer a fast and reliable service. You can connect to servers in over 70 locations around the world. 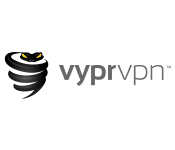 VyprVPN stands out thanks to its unique Chameleon technology, which gives you the chance to overcome restrictions, even in locations where VPN services are blocked. Chameleon disguises your VPN traffic and allows you to defeat Deep Packet Inspection and firewalls. VyprVPN doesn’t keep logs of your online activities. It is another fast and effective solution to overcome restrictions and enjoy security.